Use the 5” x 5” size, it requires less cutting of the dam than the 6” x 6” and reduces unwanted covering of the nose. Punch larger holes than you think you need. 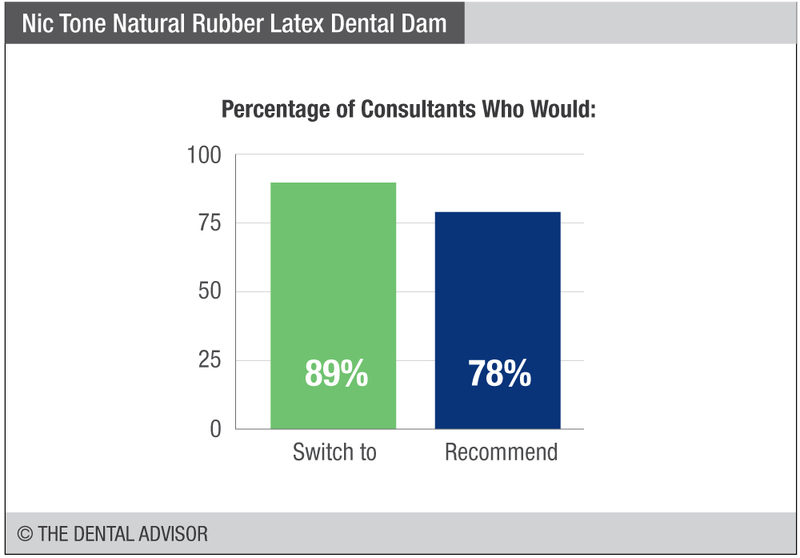 Nic Tone Natural Rubber Latex Dental Dams was evaluated by our consultants, with an average of 27 uses per consultant. Adapts well to the teeth. 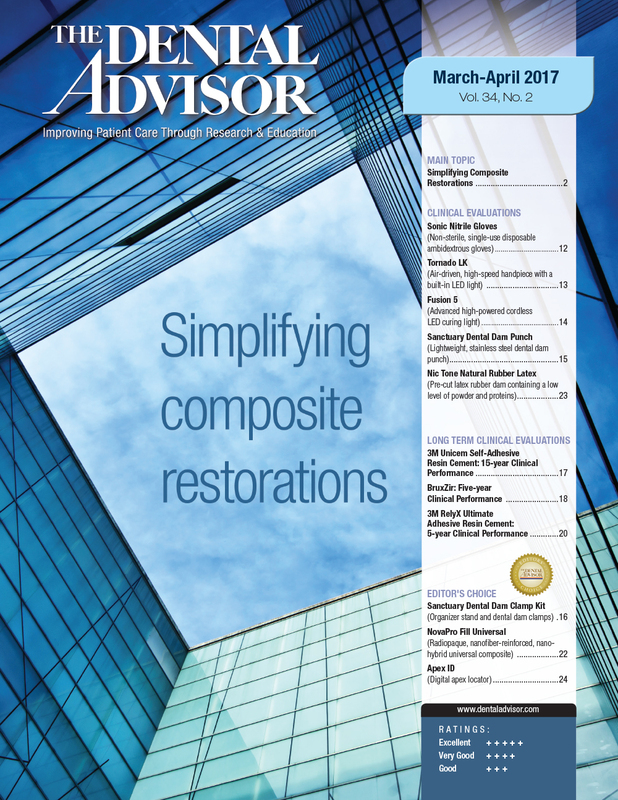 Colors offer excellent contrast – good for photography. 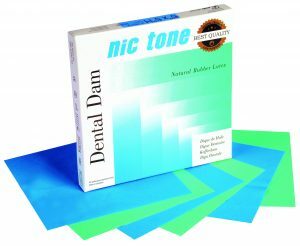 Nic Tone Natural Rubber Latex Dental Dam is a pre-cut latex rubber dam that contains a low level of powder and proteins and offers excellent tear resistance. Thin, medium and heavy gauges are available in color-contrasting blue or green. Nic Tone Natural Rubber Latex Dental Dam is delivered in two sizes, 5”x5” with 52 sheets per box, and 6”x6” with 36 sheets per box. 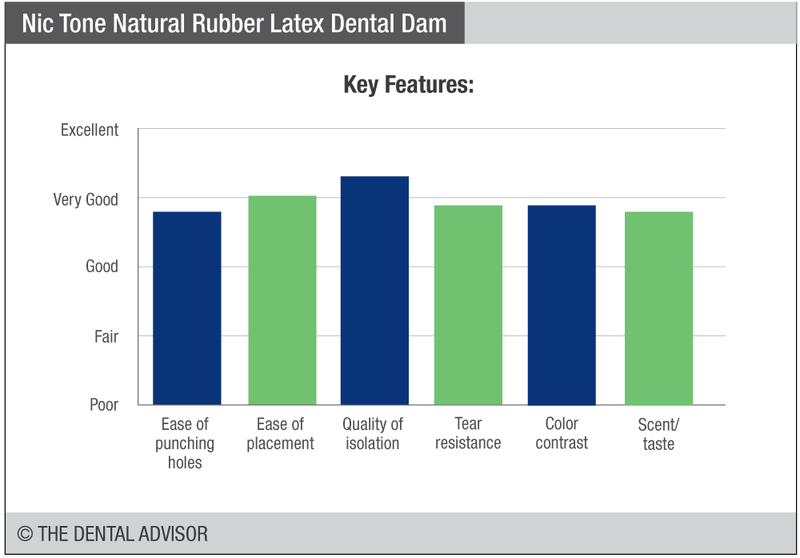 Procedures requiring use of a rubber dam. Suitable when the patient/clinician/assistant does not have an allergy/sensitivity to latex. 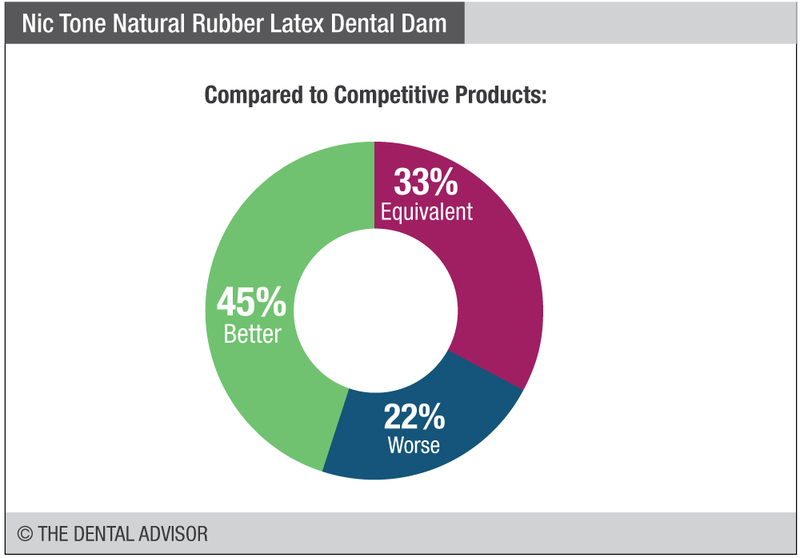 Nic Tone Natural Rubber Latex Dental Dam stretches up to 800% before tearing.